This topic contains 10 replies, has 2 voices, and was last updated by Billy 3 years, 4 months ago. Below the old cellar head. Can you help me please. Where was the “Windmill” situated on Goldthorn Hill and where was the Windmill field, the playing field used by the Wolves before their move to the current pitch? Iv’e been reading the amazing book by Patrick A. Quirke “The Origins of Wolverhampton Wanderers” and found it a great read. You may know of it too. And is the house belonging to Sir Alfred Hickman still standing on Goldthorn Hill. 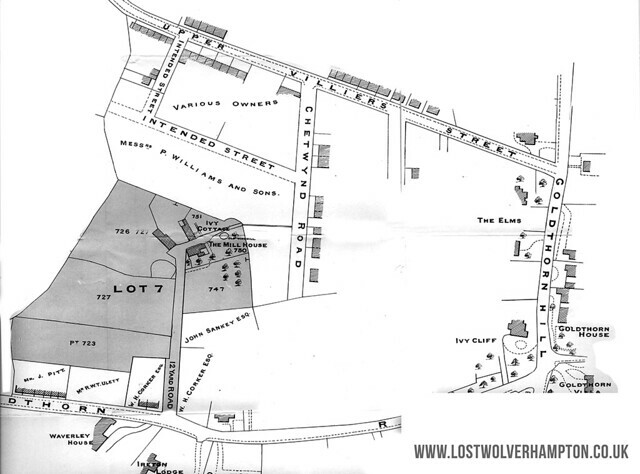 Had you thought of doing a “Wolves Walk” around the stadium and along the Dudley Road, Kings Arms, etc. I think this would be a good idea, if you have the time. Hi Mark perhaps these few facts from my slideshow “The Early Wolves” may help you here. As you can imagine the area around Goldthorn Hill would have been mostly farmland at the time the Wolves came to be St Lukes Church and schools weren’t built until 1861. At around this time John Bayton.an original Wolves team player came with his family to “Lodge Farm” Goldthorn Hill. 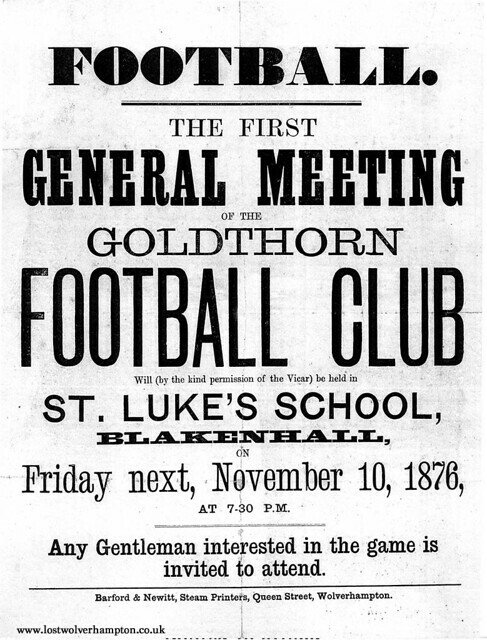 In 1878 Mrs Baynton gave up the farm and St Lukes lost their pitch. not being able to rent another they could afford In 1879 they joined forces with with the Wolverhampton Wanderers cricket Club, and shared their ground on the Dudley road, . 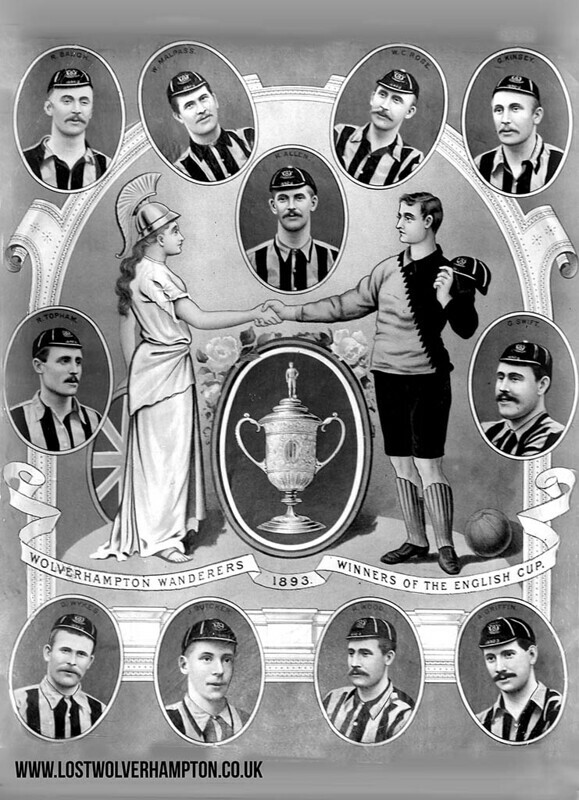 The club, as the result became known as Wolverhampton Wanderers Cricket and Football Club. Running across the top is Upper Villiers Street. Both roads joining Goldthorn Hill on the right. A windmill is shown roughly in this position on a map in 1682. 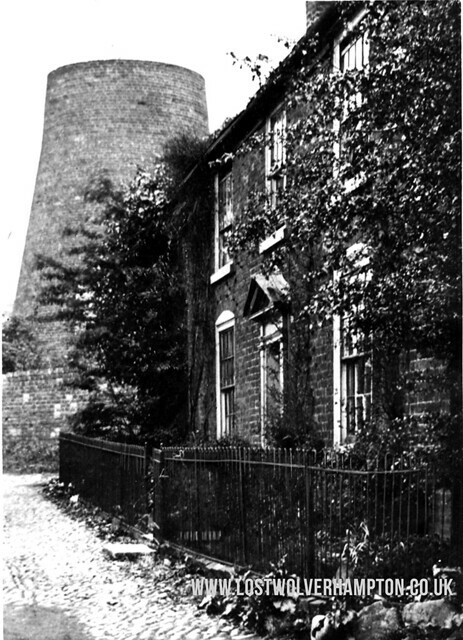 It was a tower mill built of brick on top of which sat a roof or cap which could be turned so the sails would turn in the wind. Hello Billy – interesting topic. St Luke’s junior school certainly still had use of a sports field off Upper Villiers Street in the nineteen-fifties. It was accessed along a narrow side road a short way uphill from the gate of the Sunbeam works. I have an idea the side road may have been only partly made-up. I attended the school between ’55 and ’59 and we used to walk up the hill for games on this field – possibly a remnant of a larger one. I also remember sports days, with coloured bands of tape to show our team or ‘house’, never being quite fast enough to be in the first three, and tripping over in giggles in the three-legged race. Yes Maggie there were playing fields as I recall in between Goldthorn Road and Upper Villiers Street in the 1950’s. Would you have gone up Cyprus Street to them. Thanks for the welcome everyone. Wolves still a chance to go up if a few things go their way. Losing so many games in a row late last year didn’t help. Found a plastic mounted football card of Billy Wright in a little second hand store on the NSW Central Coast. I thought it was an extraordinary find considering the location and Wolves not being a fashionable team to follow. Anyway good luck for me. Last season we had to start at the bottom, i have faith with a little bit of luck we could be celebrating again. Up the WOLVES. And can you believe it The Wolves were born here at St Lukes. 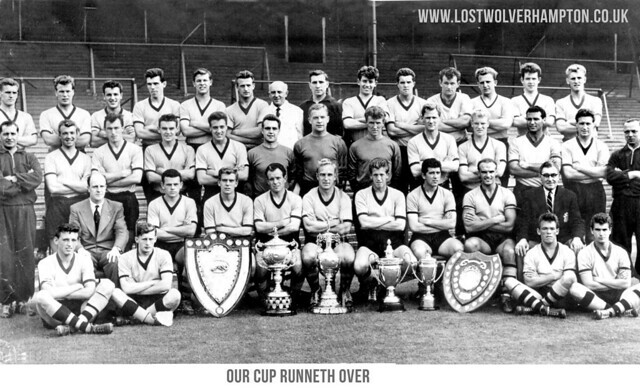 An excerpt from a slide show I do entitled Wolves Cup Run of 1949. Up to this point in time Wolves had beaten Chesterfield 6-0 in the third round, on January 8th. and with further victories over Sheffield Utd, Liverpool and West Brom, they were now drawn against the Cup-holders Manchester Utd, in the Semi-final. Against the run of the play we scored, but they quickly equalised, then with the score one each, and half an hour to play, Laurie Kelly was so badly injured he had to be stretchered off . ( and remember no substitutions in those days). It was said, that evening in the local newspaper, “his extra effort gave Wolves, the strength to keep the United at bay throughout the ninety minutes and extra time, and earned them a well deserved replay. The replay was to be at Evertons ground – Goodison Park. and It was obvious from the start Kelly wouldn’t be playing and Roy Pritchard was doubtful. Wolves were in the final. 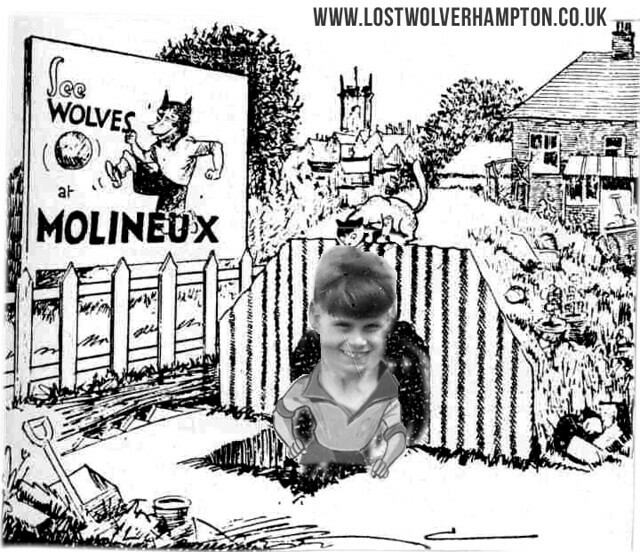 When the Wolves travelled down to Oxford for their overnight stay, Laurie Kelly was fit and well land though only regarded as one of the three reserves, he must have thought there was a good chance he would gain his right back position. 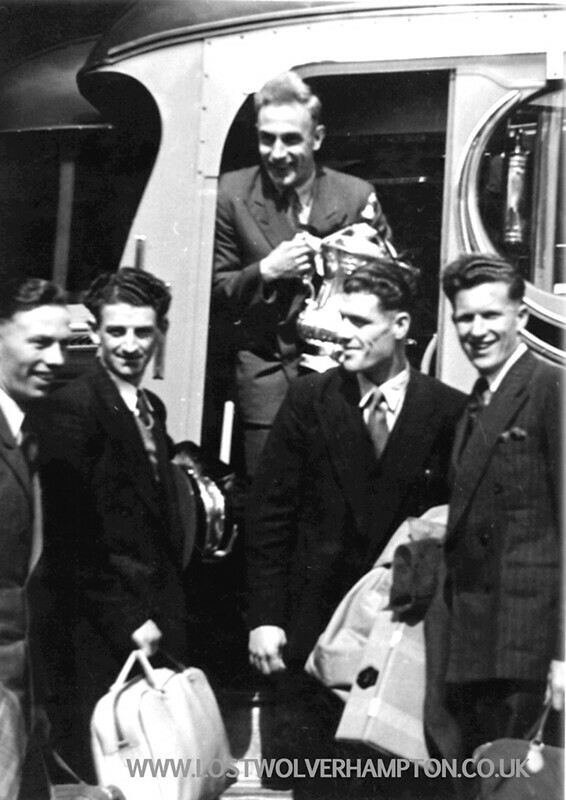 and even after their arrival at the hotel in Oxford everyone assumed the the two full backs would be Pritchard and Kelly. But when the final team placings were decided upon Laurie Kelly was informed he wouldn’t be playing. Now wether it was the bad news or thee manner in which he received it He immediately left the hotel and returned home. But you can bet Stan Cullis never had any doubt’s, No time to reflect on the feelings of individual players, this was up to him. so he dropped his first choice right back Kelly, switched Roy Pritchard into that position, then placed Terry Springthorpe who had performed so well in the Semi-final replay, to left Back. And with this proven 100% fit team , he assured himself Victory would be ours , And of course it was. At the time of the 1949 Cup Final, my uncle , was working alongside Laurie Kelly’s brother-in law, at Chillington tools, East Park. “Stan Cullis, for some reason, didn’t tell Kelly, himself, of his last minute decision not to play him ,at Wembley, but left it to Billy Wright to give Kelly the bad news. Laurie Kelly, would now find the competition hard for a first team position at Wolves, and next season left to play for Huddersfield, were he would distinguish himself making over 230 League and Cup appearances. As a matter of interest , Huddersfield finished 3rd in the first division in 1953-54, with Albion in second place, and the Wolves, for the first time in their history, in top spot. In 1957 Laurie Kelly joined Nuneaton as player manager, but only stayed a few months and retired soon after.